Don’t kill that mouse—give it a companion. Although a keyboard and mouse are tried-and-true DAW-control devices, they’re far more effective when used in tandem with the FaderPort™’s precise tactile control over mix and automation functions. A superior solution for anyone who mixes in the box, the FaderPort provides a 100 mm touch-sensitive, motorized fader for writing fades and automation in real-time and 24 buttons covering 40 different functions, all in a compact chassis that easily sits on any desk. Quickly zoom in on audio files for editing. 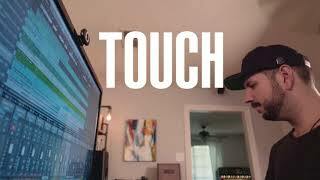 Control track levels with the touch of a finger. With the FaderPort, you’ll enjoy the fastest, most efficient workflow you’ve ever experienced. We've incorporated elements from the award-winning FaderPort 8 into our new and improved FaderPort. Rather than forcing you to revise your mixing method, the FaderPort augments the way you currently mix. You still use your faithful keyboard and mouse for things they do well, and the FaderPort handles what you really want to get your fingers on: your mix. This is DAW control the way you always hoped it could be! The FaderPort's unique Session Navigator provides easy access to eight mission-critical functions for maximum flexibility. Use the large encoder button and companion buttons to edit and mix with greater efficiency and speed. Scroll through your timeline, using the encoder, or work measure by measure with the arrow buttons; zoom in and out on the timeline with the encoder and make your tracks larger or smaller with the arrow buttons; navigate and drop markers; and maintain constant control of your main level. Once you start using the Session Navigator, you’ll wonder how you mixed without it. * Features may vary depending on your software. Universal compatibility and tight Studio One integration. FaderPort’s streamlined workflow and support for the Mackie Control and HUI protocols make it fast and easy to control Logic Pro X, Cubase, Ableton Live, Pro Tools, and more. No driver installation is necessary; just plug the control surface into a USB port and take command of your mix. But the FaderPort is downright magical when used with PreSonus Studio One. (Studio One Artist is included.) You’ll be amazed at how much faster you can work. Learn about FaderPort’s tight integration with Studio One. An amazingly fast, efficient studio workflow awaits you! 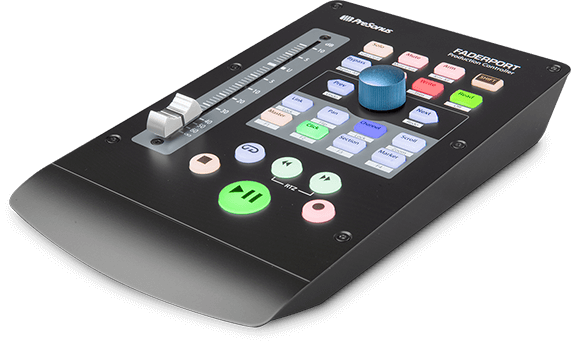 With the compact, easy-to-use FaderPort, you’ll enjoy the fastest, most efficient workflow and the most session control you’ve ever experienced. But don’t just take our word for it; visit your favorite PreSonus dealer and try the FaderPort for yourself! I’m seriously impressed as to how many useful operations PreSonus have managed to pack into this very compact production controller. 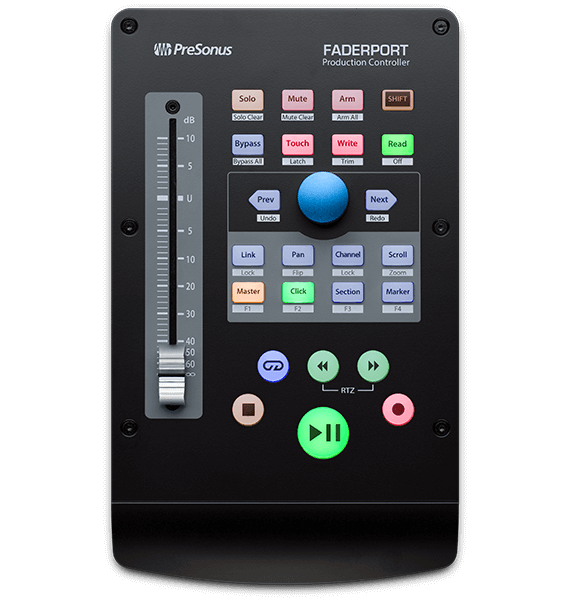 PreSonus is known for building user-friendly, powerful devices — and like many devices before it, the PreSonus FaderPort delivers on that. The most important thing: The touch-sensitive motor fader is smooth and, above all, extremely quiet. We really appreciated the fact that PreSonus put so much thought into making it easy to use the FaderPort in multiple DAWs without having to manually reprogram anything. The FaderPort fits pretty much anywhere and does most of what a larger surface will do. The new FaderPort, like FaderPort 8 and FaderPort 16, should be the first desktop accessory for anyone who mixes in the box. While it has great functionality with most professional DAWs (like Studio One), it is also a particularly good option for use with Pro Tools.